Fulfill your comedic destiny. Learn how to become a standup comedian today. Course includes live standup comedy graduation show starring you. Ever dreamed of going on stage and making an audience laugh with just your stories and wit? 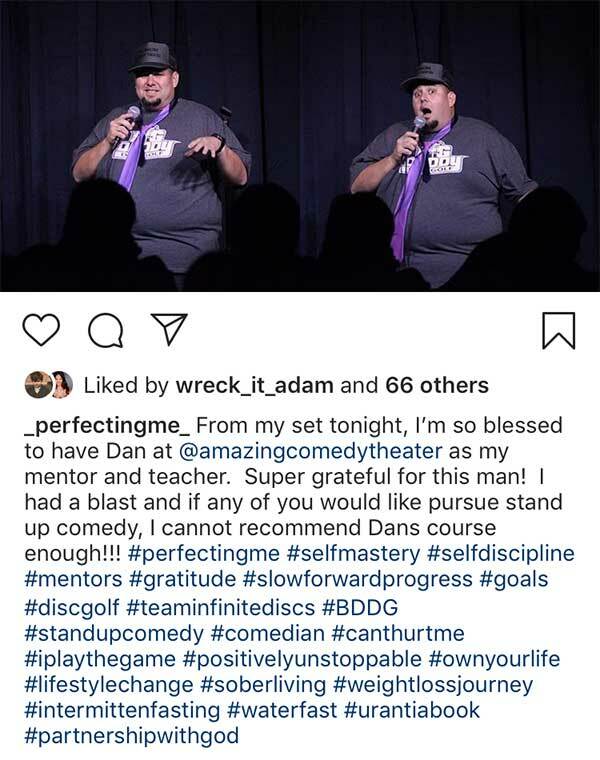 Doing standup comedy can change your life – for the better. It can make you a better communicator, critical thinker and public speaker. It can also improve your self-confidence and social and professional interpersonal skills. It is also a lot of FUN. So, cross it off your bucket list and signup for our Four-Week Intensive Standup Comedy Course today. The course culminates with a special graduation standup comedy show featuring you and your classmates performing for an audience of your friends and family. All students receive a video and photos of your performance at this show. Four-Week Intensive Standup Comedy Course students will receive a free Kindle and audiobook copy of our theater’s new 30-Minute Standup Comedy Manual. You’ll also receive an Amazing Comedy Theater t-shirt. Any questions regarding the course? Please feel free to email us or call (949) 354-2704.